This is a great affordable way to get out and about. 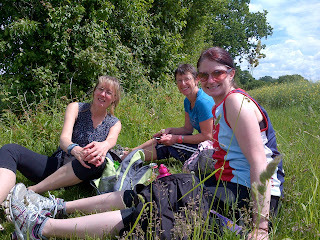 Jane and I did the 18.5 mile walk from Bury St Edmunds to Clare. This one was a long distance walk but there were several that were tours around the area. The aim of this festival is to get people active and if you are looking for something to introduce you to some of the walks. There are some walks that you can take your children on and also some walks allow dogs. Why not get out there and get ready for the summer!